Over 100,000 people in the U.S. are waiting for an organ donation. Unfortunately, many may never get the call saying that a suitable donor organ — and a second chance at life — has been found. It can be hard to think about what's going to happen to your body after you die, let alone donating your organs and tissue. But being an organ donor is a generous and worthwhile decision that can be a lifesaver. If you've never considered organ donation or delayed becoming a donor because of possibly inaccurate information, here are answers to some common organ donation myths and concerns. Fact: When you go to the hospital for treatment, doctors focus on saving your life — not somebody else's. You'll be seen by a doctor whose specialty most closely matches your particular emergency. Fact: Organ donation is consistent with the beliefs of most major religions. This includes Roman Catholicism, Islam, most branches of Judaism and most Protestant faiths. If you're unsure of or uncomfortable with your faith's position on donation, ask a member of your clergy. Fact: There's no defined cutoff age for donating organs. The decision to use your organs is based on strict medical criteria, not age. Don't disqualify yourself prematurely. Let the doctors decide at your time of death whether your organs and tissues are suitable for transplantation. Fact: Very few medical conditions automatically disqualify you from donating organs. The decision to use an organ is based on strict medical criteria. It may turn out that certain organs are not suitable for transplantation, but other organs and tissues may be fine. Don't disqualify yourself prematurely. Only medical professionals at the time of your death can determine whether your organs are suitable for transplantation. Fact: While that used to be the case, it isn't any longer. Whether it's a distant family member, friend or complete stranger you want to help, you can donate a kidney through certain transplant centers. If you decide to become a living donor, you will undergo extensive questioning to ensure that you are aware of the risks and that your decision to donate isn't based on financial gain. You will also undergo testing to determine if your kidneys are in good shape and whether you can live a healthy life with just one kidney. Fact: The rich and famous aren't given priority when it comes to allocating organs. It may seem that way because of the amount of publicity generated when celebrities receive a transplant, but they are treated no differently from anyone else. The reality is that celebrity and financial status are not considered in organ allocation. Now that you have the facts, you can see that being an organ donor can make a big difference, and not just to one person. By donating your organs after you die, you can save or improve as many as 50 lives. And many families say that knowing their loved one helped save other lives helped them cope with their loss. It's especially important to consider becoming an organ donor if you belong to an ethnic minority. Minorities including African-Americans, Asians and Pacific Islanders, Native Americans, and Hispanics are more likely than whites to have certain chronic conditions that affect the kidney, heart, lung, pancreas and liver. Certain blood types are more prevalent in ethnic minority populations. Because matching blood type is usually necessary for transplants, the need for minority donor organs is especially high. *Register with your state's donor registry. Most states have registries. Check the list at OrganDonor.gov. *Designate your choice on your driver's license. Do this when you obtain or renew your license. 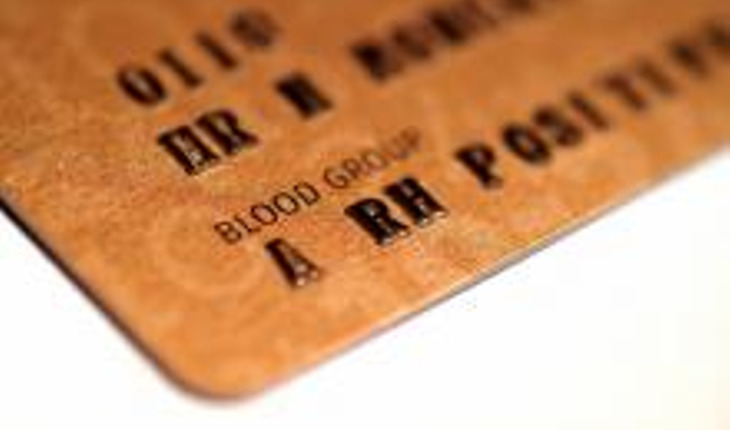 *Sign and carry a donor card. Cards are available from OrganDonor.gov. *Tell your family. Make sure your family knows your wishes regarding donation. The best way to ensure that your wishes are carried out is to put them in writing. Include your wishes in your living will if you have one. If you have designated someone to make health care decisions for you if you become unable to do so, make sure that person knows that you want to be an organ donor. It's also very important to tell your family that you want to be a donor. Hospitals seek consent from the next of kin before removing organs, although this is usually not required if you're registered with your state's donor registry. Reprinted with permission from www.mayoclinic.org. For more information, visit www.mayoclinic.org.